The Scout is tipping five players to produce big points in Gameweek 10 of Fantasy Premier League. The Chelsea winger’s creativity has been a standout feature in their recent matches. Willian is ranked second overall for chances created over the last four Gameweeks, with a total of 14. That is level with team-mate Eden Hazard (£11.4m) and bettered only by the 16 of Everton playmaker Gylfi Sigurdsson (£7.4m). His share of set-piece duties could be a major weapon against Burnley. 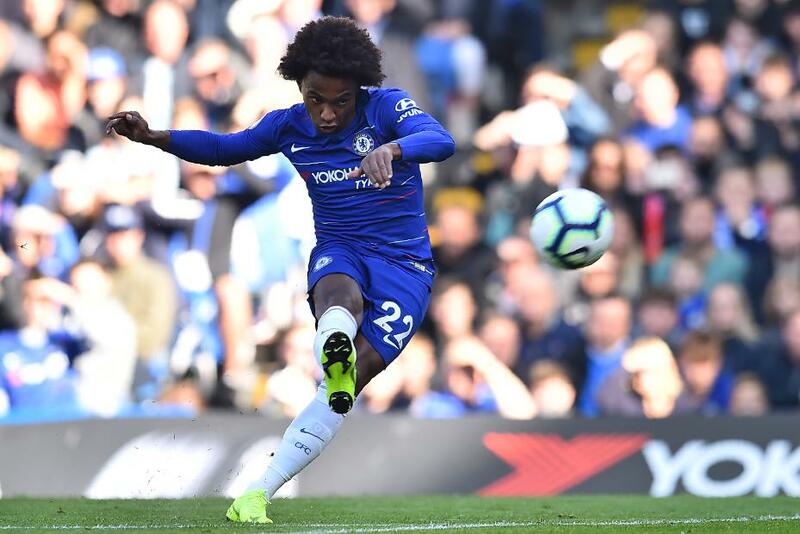 Willian has taken 18 of Chelsea’s last 29 corners, supplying the assist for Antonio Rudiger’s (£5.9m) headed opener against Manchester United last weekend. Crucially, Burnley appear to have a weakness defending set-pieces. The Clarets have conceded 38 shots from free-kicks or corners, the fourth-worst record in the Premier League. Willian’s goal threat has risen over the last four Gameweeks, despite his failure to score. He averaged an effort every 38.9 minutes, compared with 81.7 minutes beforehand. Indeed, his eight shots on goal from Gameweek 5 onwards are second only to Hazard’s 13 for Chelsea. That improved output can punish a Burnley defence whose 185 shots conceded are more than any other side. At a tempting price of £7.4m, the Brazilian has the potential to deliver more points at Turf Moor this weekend.